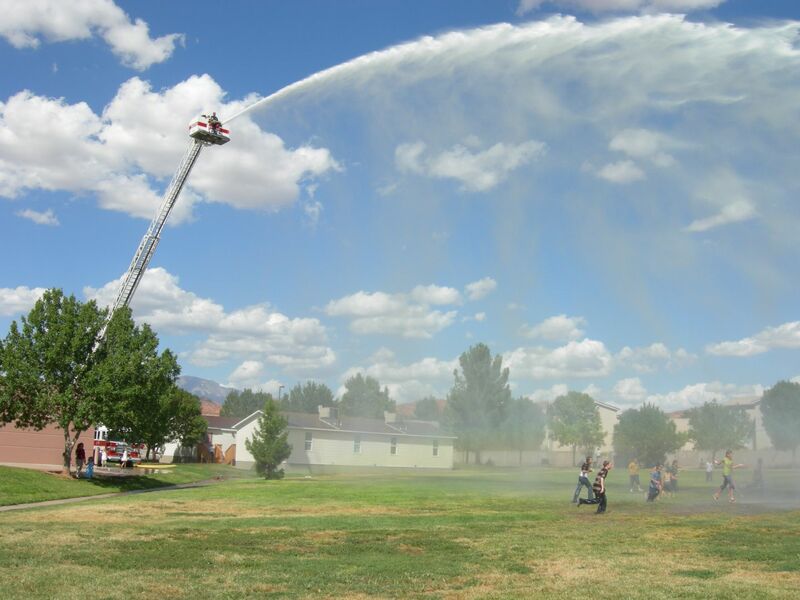 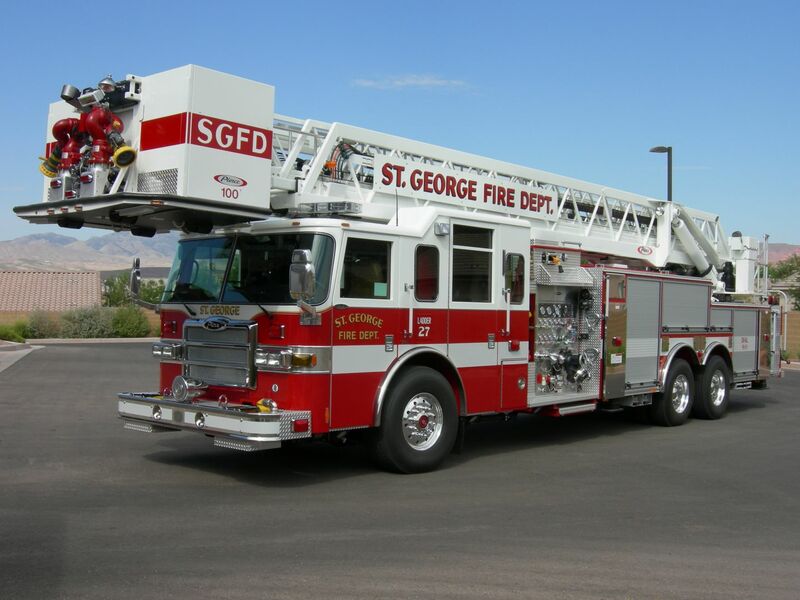 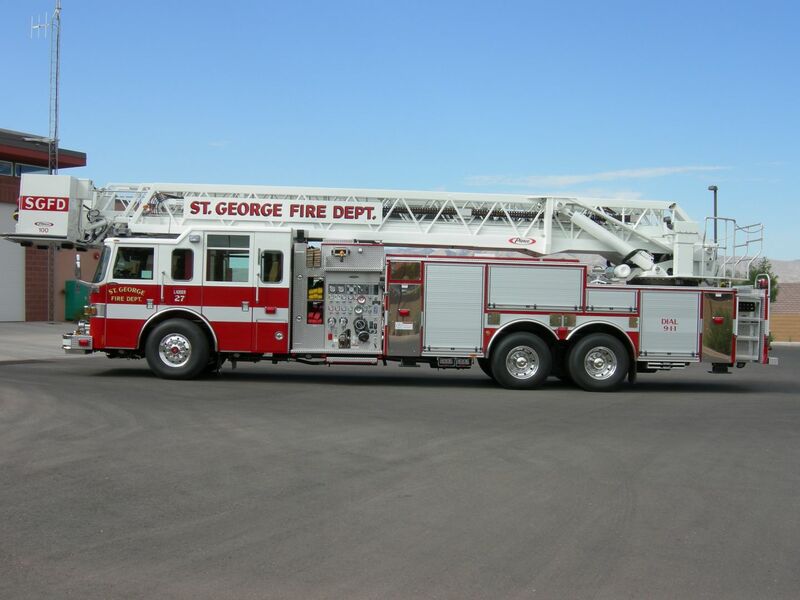 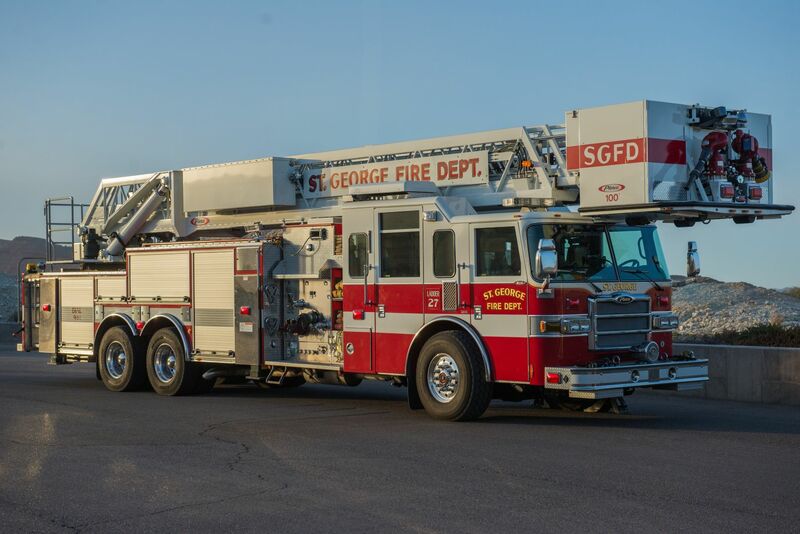 The St. George Fire Department owns three ladder trucks - also known as ladder apparatus. 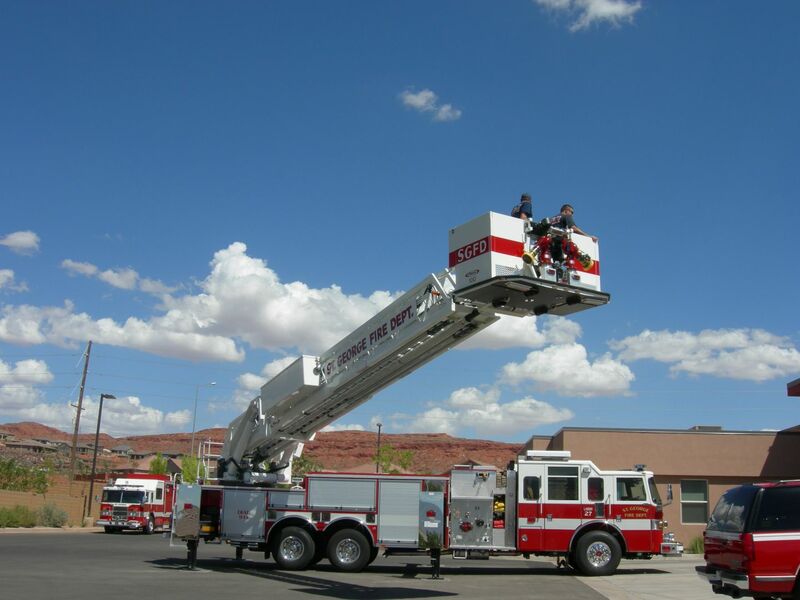 One has a 75' stick ladder, while the other has a 105' ladder with a platform. 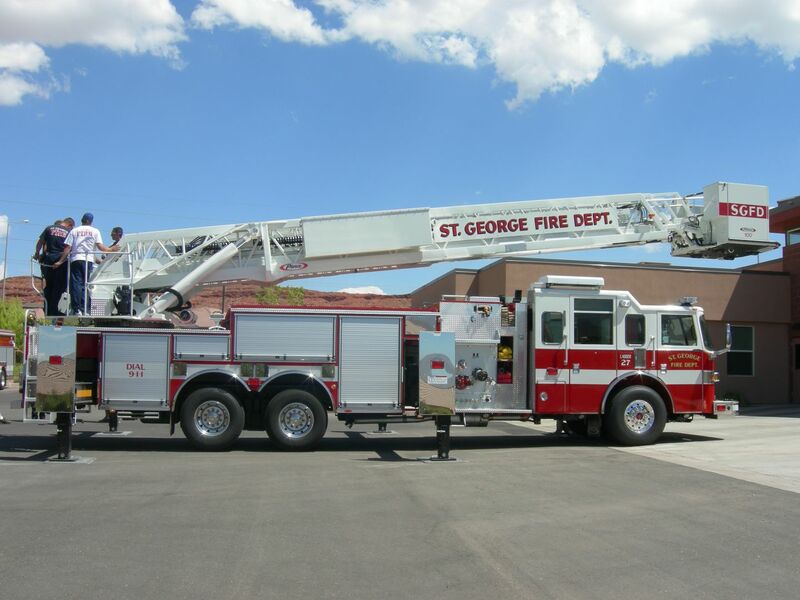 Our newest truck, a ladder/pumper combination, has a 107' stick ladder.